The Governor tried to show that republicans have solutions to health care. He offered examples such as allowing insurance companies to work across state borders and cutting frivolous lawsuits along with a website designed to show progress and take in solutions. He also took a shot at the process complaining about the special interests and closed door meetings used to create a 1,000 page bill that is a struggle to understand. The Governor found an even tone and had the right amount of agreement to proposals that will help the middle class. Yet he was able to differentiate the party by suggesting the spending freeze proposal does not go far enough and minimilized the President’s efforts. One of the only awkward moments of the speech came when Gov. McDonnell began talking about energy solutions. He hit all the Republican talking points on energy independence, nuclear, drilling, etc… and emphasized the potential for offshore drilling in his own state of Virginia. However, because they write the responses in advance and not tailor them to the State of the Union, it sounded strange since the President did a surprising pivot on the need for safe nuclear, offshore drilling and clean coal solutions. On the positive side it emphasized to the American public that there was an agreement that this Republican solution is the one we should be building towards. Overall, I think it was competent response and he took the high road avoiding too much partisanship. Unfortunately, I doubt much of America will remember much of anything the Governor said. Often times this response is more about the appearance and atmosphere. Last year, Bobby Jindal looked alone and insignificant standing in the Governor’s mansion. This year, McDonnell stood in a full House chamber in Richmond and while it paled in comparison to the House of Representatives chamber it was intriguing to see. 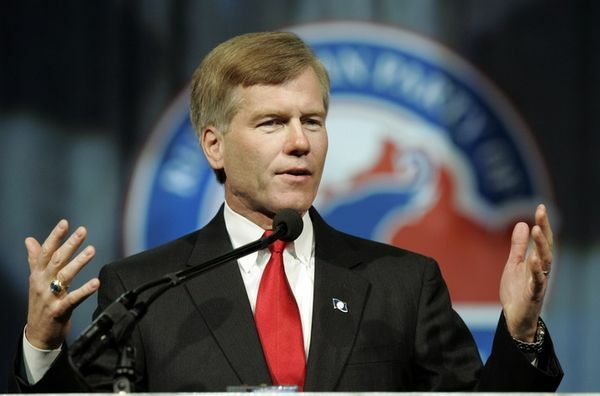 Lasting reputations are often made by a politician’s first national TV appearance, with this gaffe free, well-delivered, and slightly captivating speech Governor McDonnell will remain in the Republican spotlight.